Tickets are selling fast on Islehelp for our Friday and Saturday performances. “A Panto Like No Other” is a Provo Primary original plot of good versus evil, witty banter and buffoonery and, of course, good eventually conquering all. With an amazing cast, fantastic costumes, incredibly catchy songs and entertaining dances, ‘A Panto Like No Other will make you boo, hiss, laugh and cheer along to this extraordinary trip down memory lane. As Ms. Alison and Miss Sian prepare to open Provo Primary’s 25th Anniversary Time Capsule containing artefacts from Christmas Shows past, there is a technical hitch. They depart the stage to assist Miss Stef with the lighting in the office. Left to his own devices (and a bit of encouragement from the audience) Elf on the Shelf opens the time capsule, inadvertently allowing the Baddies from Christmas Shows Past to escape, taking with them, all the artifacts. Devastated that his actions will cause catastrophic effects, he doesn’t quite know what to do, until the wise Provo Primary School Flamingo comes to his rescue. Together, they devise a plan to go back in time to get all the artifacts back. Unbeknownst to them, the baddies are hot on their trail in a time machine from 2004’s Christmas Show. Fortunately, the goodies, overhearing the baddies’ treacherous plan, decide to use their own special magic to assist Flamingo and Elf along their way. Will they succeed in getting the artifacts back before Ms. Alison and Miss Sian return or will they remain stuck in the past forever? Everyone is invited to join us as our Years 1-6 honour our national songs, tales and dances. This will be followed by an opportunity to view some Heritage artefacts on display and to sample some local traditional food. Our Graduating Class of 2016 performed their last dance on the Provo Primary School stage for us today. In their time with us they have grown from Provo Primary flamingo chicks to mature fledglings. It is time for them to spread their wings, with the confidence to know that they are ready to fly the nest onto adventures new. Year 6, it’s time to ‘Break Free’ from Provo Primary, and continue on your journey to greatness. As individuals we have no doubt that each of you will follow your unique talents to find success and happiness. We believe it will be a really exciting journey not only for you, but for anyone fortunate enough to cross your path. Each of you shines your bright light and colours individually, but when you come together as a group, as you have today, you form a perfect rainbow for everyone to see. Buy your tickets in the walkway or in the office. Alternatively, email info@provoprimary.com or call 441 5638 to reserve them. 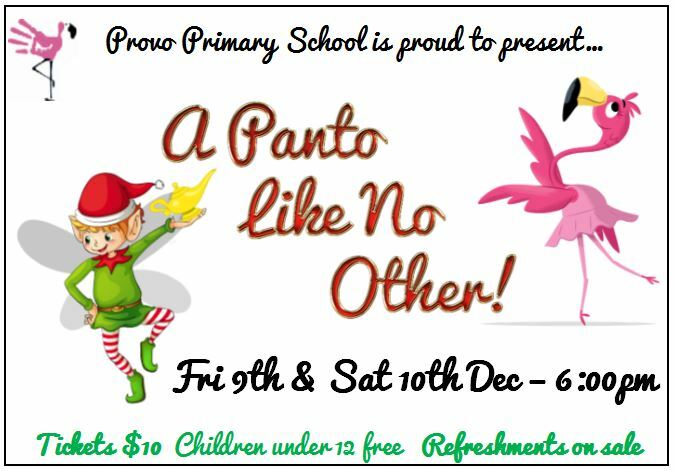 Friday 4th and Saturday 5th December – 6pm – at Provo Primary School. The show is modern, panto-style reworking of the classic tale, including all the traditional characters: downtrodden Cinderella, Rockerfella (formerly known as Prince Charming!) Buttons, the Ugly Sisters and the Fairy Godmother, with a selection of additional characters, from music managers and paparazzi, to good and bad fairies and other well known fairy tale characters – all placed in a world of fame and celebrity. With fresh and relevant things to say about fame, fortune and how true love will win in the end, this show has a wonderfully comical script, fabulous songs and plenty of opportunity for audience participation…Oh no it hasn’t…Oh yes it has! It’s is sure to bring the house down and is certainly not to be missed! Buy your tickets in the school office. Alternatively, email info@provoprimary.com or call 441 5638 to reserve your tickets. The traditional Christmas story is retold to some alien visitors. Stranded on earth with their broken spaceship, they meet a group of school children about to rehearse their Christmas play. Invited to watch, the aliens discover an amazing story they want the whole universe to hear. But will the aliens be able to mend their spaceship and travel back to outer space? Come and find out and enjoy our younger students up on the stage, dressed in their costumes, dancing and singing all the catchy songs. Performing Arts teacher Niki Flowers has teamed up with The Turks & Caicos Friends of the Arts Foundation (TCFAF) and an old friend of hers; to bring London’s West End Theatre to Provo in February 2016.This project will be financially supported by TCFAF, but a fundraiser is required to assist with the cost. 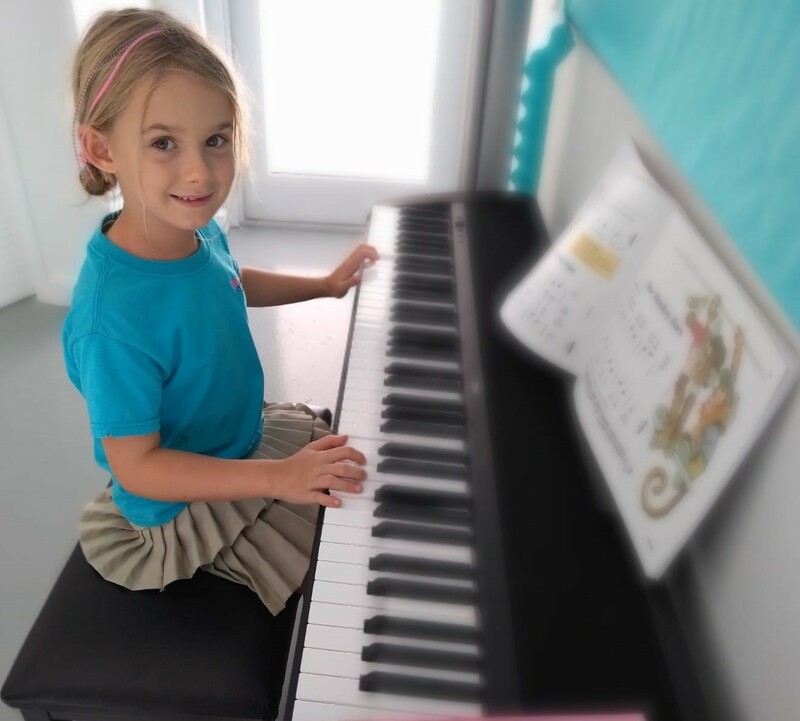 Niki wanted to include children in the fundraising efforts, so has asked all of her students to get involved and sponsored in a 12-hour Perform-a-thon. Niki teaches a collection of classes here at Provo Primary School, under the heading of Provo Performing Arts School. The children will also benefit greatly from support on the day – come along and cheer them on! The Early Years children entertained one and all last night with their wonderful end of term show. The Preschoolers were delightful in their bright red festive costumes shaking their bells as they sung Jingle Bells. 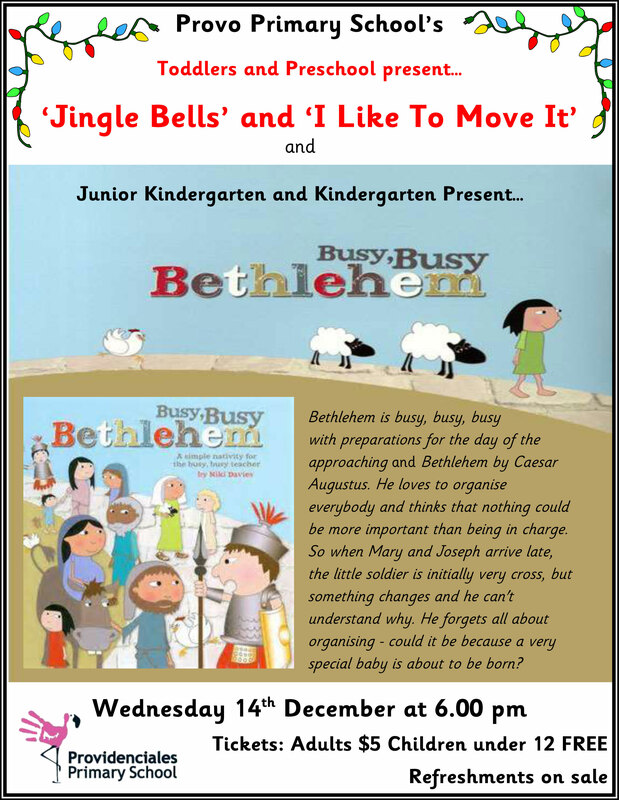 This was followed by the Junior Kindergarten and Kindergarten’s nativity play, ‘Busy, busy, Bethlehem’. With wonderful stage decorations, stunning costumes and cheerful singing, the audience were captivated and enthralled. Well done everyone on a fantastic show! See highlights of the show in the movie above. Our end of term panto, Cinderella and Rockerfella, was a smash hit. The audience thoroughly enjoyed the show, laughing and cheering at the goodies and booing and hissing at the baddies. We are all very proud of our talented actors, singers and dancers who captivated and impressed everyone with their outstanding performance. Thank you to everyone who helped us put on this amazing extravaganza. The best panto in Provo this year, it will be remembered by all involved for many years to come! Please enjoy this movie capturing the highlights of the show – at a full length of over an hour and half it was tricky to fit everything in, though I wished I could! Let’s hope it doesn’t take too long to download – be patient – it’ll be worth it! Years 2 to 7 put on a fantastic end of term show this week. Audiences were amazed and thoroughly entertained by the extremely talented dancers, singers, musicians and actors. Some say it was the best Provo Primary Christmas Show to date! See a slideshow of the main highlights. Bob (the littlest elf) was rather disgruntled as she didn’t understand the true meaning of Christmas. So clever Santa decided to take her with him on his sleigh and show her all the wonderful things that happen around the world at this special time of year. We’d like to thank all the children, staff and parents whose combined hard work and efforts have produced this wonderful show and a big thank you to Krys for these wonderful photos. 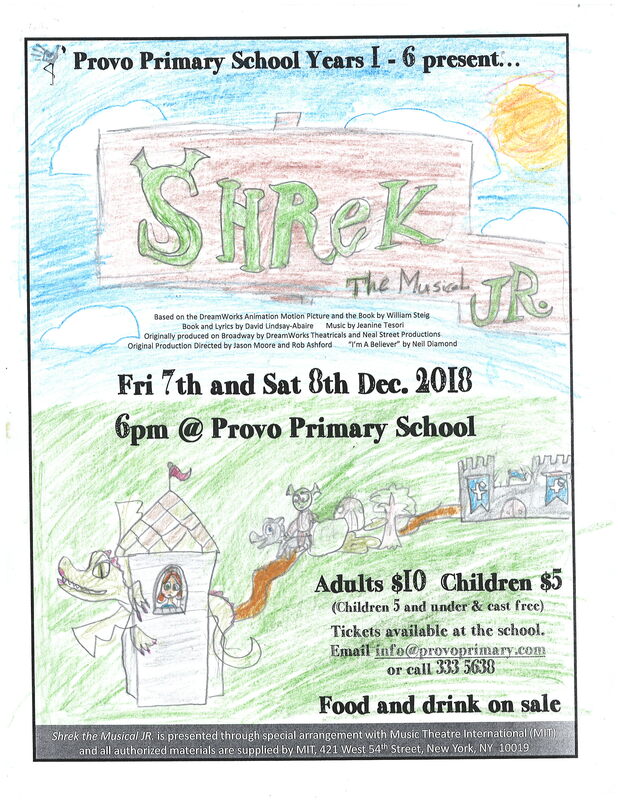 Anyone who was at Provo Primary’s Christmas show “Pura Vida” at the end of last term, I’m sure would agree that it was a HUGE success. The children were wonderful, costumes absolutely gorgeous and dances performed beautifully.